Vases improve the aesthetic appeal of spaces in your home and add charm to events such as weddings. Whether you enjoy fresh flowers or artificial ones, vases add style in displaying plants whenever, wherever. 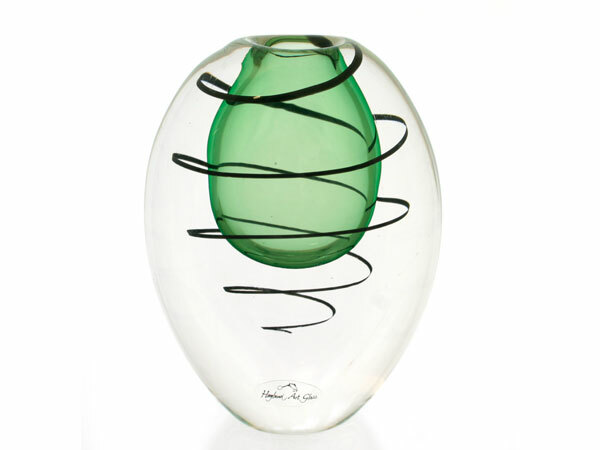 Höglund Art Glass provides a wide selection of glass vases in NZ. Our collection of vases is one of our most popular works. 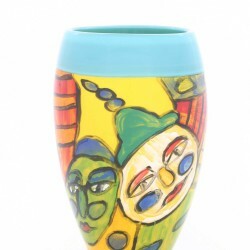 Apart from their functionality, our art vases also serve as inspiring and collectible art works in their own right. Each vase is also handcrafted and designed to perfection. Our selection of vases come in different colours and styles. Our Vase Veil is a unique and one-of-a-kind addition to our collection. 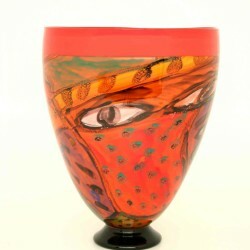 This vase is blown using the detailed Sommerso technique, in which individually coloured layers overlap each other and are framed with crystal clear glass. For stunning overlapping colours mixed with beautiful shades, choose our Eclipse Collection. This mixture of design and colours combines elegance with design. The Eclipse vases perfectly illustrate the countryside with vivid and warm colours, contrasting with soft tones of orange and shades of blue and green. Our Apollo collection captures intergalactic beauty. Vases from this collection feature dramatic colours reminiscent of the night sky. The Apollo collection planetary-like shades contrast with the glass. Each vase is hand-blown from the purest and clearest glass. 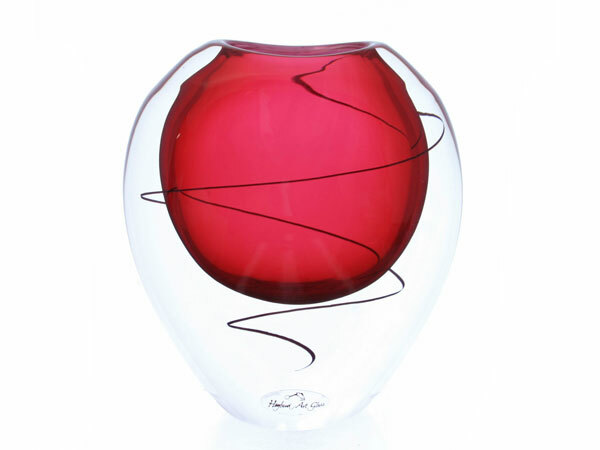 Festival Vases are sculptural collectibles with fluid movement, with a spiral around the coloured core. The collection of flat vases are functional and decorative at the same time. All of our vases are unique. Each vase is different from the next, providing you with something only you can own. 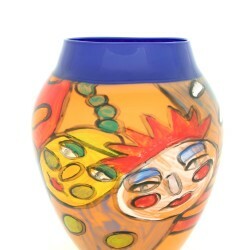 Browse through our selection and find the vase you would like to include in your collection. SKU: FESTpink14x13. Categories: Current Work, Featured, Vases. This hand-blown Festival vase is a sculptural, one-of-a-kind and capture the fluid movement with a contrasting spiral around the coloured core, submerged within the crystal clear glass – a true collector’s item.